Sabre Films is a new film production company specialising in black comedy horror films. 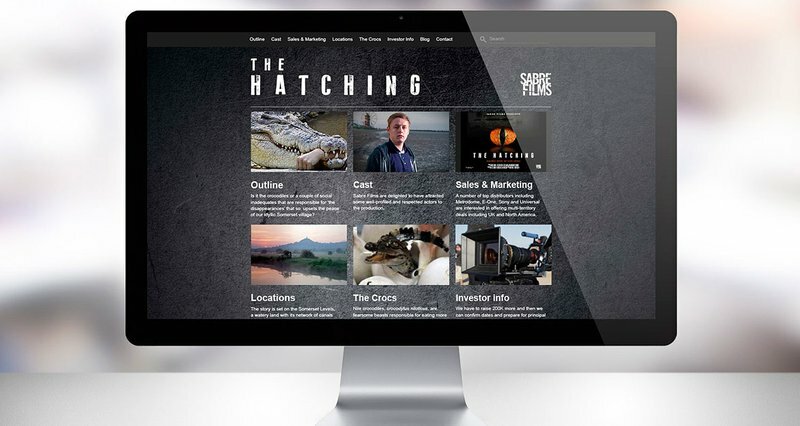 Following our development of their identity, Chaos was retained to create investor marketing and poster material for their upcoming 2014 release, The Hatching. 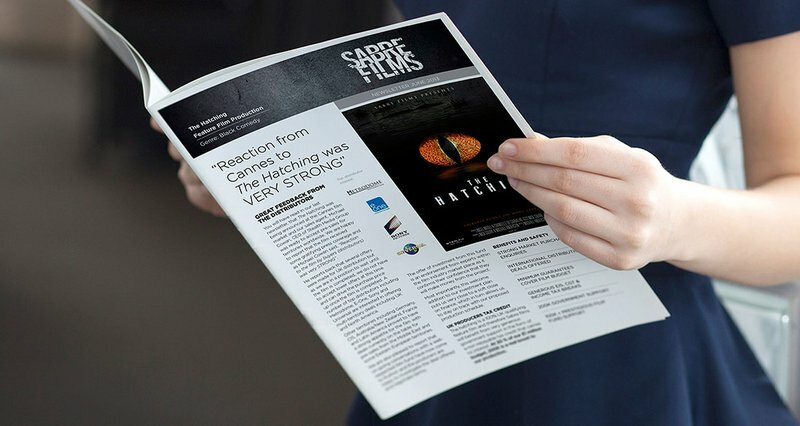 Deployed on posters at The Cannes Film Festival and successful fundraising material, our work was acclaimed by the director whose CV includes American Werewolf in London. Deployed on posters at The Cannes Film Festival and successful fundraising material, our work was acclaimed by the director whose CV includes American Werewolf in London. 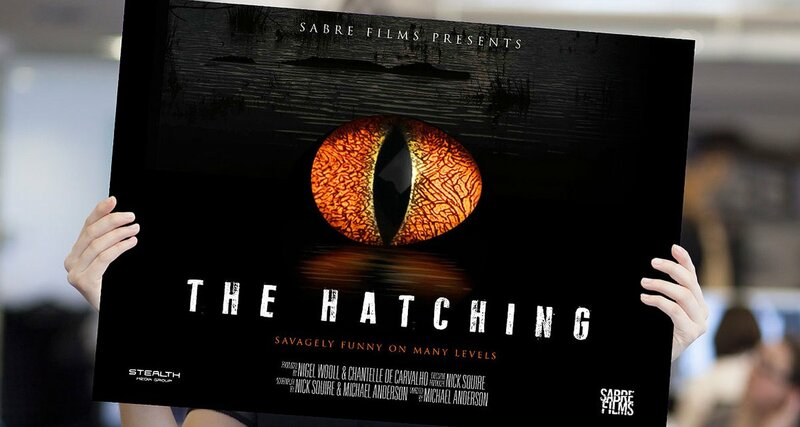 Sabre Films, producers of new British comedy horror The Hatching, appointed Chaos to ensure that their film, featuring feral crocodiles in rural Somerset, made a splash with investors and future audiences. Set in deepest Somerset, the film features two wild crocodiles, two shadowy psychopaths and a rural village with a rapidly diminishing population. The makers of the movie wanted an iconic poster image that brought the menace of the movie to life in a clever way. This is a designer’s dream – to define a film in a form seen worldwide. With the main subject of the movie being feral crocodiles in rural Britain, with Chaos Thinking, we came up with a close up crocodile eye visual that, at first sight, looks like two halves of a hatching egg. We created investor marketing and poster material for the film. Early rumours were that some of the Chaos team might feature in the movie as extras. We’d love to hear from ambitious leaders and marketeers who want to unsame their brand, stand out from the competition or effectively change perceptions and behaviours.